Dr. Nassif discusses the role of the Bible in the work of St. John Chrysostom. 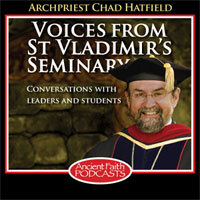 Priests, teachers and parents will not want to miss this important podcast! Today, Jeannie begins by addressing some listener questions from past episodes and then continues her exploration of Genesis particularly through the lens of St. John Chyrsostom.